TNC’s program in Africa has three ongoing projects that include family planning activities and two partner organizations with expertise in family planning. This position will build on the foundation provided by our existing partner organizations to develop- a strategy for how we can best deepen and strengthen our family planning work. This learning is expected to influence TNC operations beyond Africa. The Family Planning Advisor will provide leadership and technical support as a subject matter expert for TNC conservation initiatives in Africa. This is a 2-year fixed-term appointment with the option of extensions if funding allows. The position will be based at the TNC office in Arusha, Tanzania where the administration of one of our family planning projects is also located. Our commitment to diversity includes the recognition that our conservation mission is best advanced by the leadership and contributions of men and women of diverse backgrounds, beliefs, and culture. Recruiting and mentoring staff to create an inclusive organization that reflects our global character is a priority and we encourage applicants from all cultures, races, colors, religions, sexes, national or regional origins, ages, disability status, sexual orientation, gender identity, military, protected veteran status or other status protected by law. Endangered Ecosystems - Northern Tanzania (EENT) is a Cooperative Agreement (AID-621-A-15-00004) funded by USAID/Tanzania. The project focuses on protecting rangeland habitat for people and wildlife in northern Tanzania. EENT is entering a new phase in July 2018, with a focus on (1) joint visioning, exchange of lessons, and planning of multiple organizations, communities, and institutions through a stakeholders’ forum on healthy, connected rangelands, (2) harmonizing land use planning across village boundaries for rangelands connectivity in key wildlife corridors, (3) piloting systems for community-based, holistic rangeland management, restoration, and monitoring, and (4) improved collaboration and communications of multiple organizations through a partnership called the Northern Tanzania Rangelands Initiative (www.ntri.co.tz). 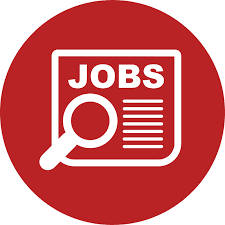 As Communications Specialist, you will lead communications and outreach for a dynamic project and partnership of organizations that are working together to promote the health of northern Tanzania’s rangelands and human communities. The Communications Specialist manages and expands communications platforms of the Northern Tanzania Rangelands Initiative (NTRI) and leads communications initiatives for activities supported through the EENT project. He/she prepares written and visual communication materials, provides editorial reviews of technical and performance reports, and leads updates to the website and social media. This is a term-limited position for the remaining duration of the 5-year USAID funding window (ending September 2020), and will report to the EENT COP. The position is based at The Nature Conservancy (TNC) office in Arusha, Tanzania. Update and oversee implementation of the NTRI communications strategy in consultation with the NTRI Coordinator and partner organizations. Continue to develop and manage the NTRI brand in line with its partner organizations. Support NTRI internal communications to promote increased coordination and collaboration across the NTRI partners. BS degree in Communication, Marketing, Business or related field and 3 years related experience, or equivalent combination of education and experience. Experience with Microsoft Word, Excel, and web browsers. Experience working on the development and/or environmental projects. RPF Admit Card will be issued to all the candidates who have registered themselves for the Railway Protection Force Constables and SI Recruitment. The Exams is expected to be held in September 2018. The RPF Exam will be conducted by the Railway Recruitment Board.